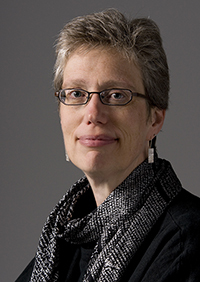 Cynthia J. Atman is the founding director of the Center for Engineering Learning & Teaching (CELT), a professor in Human Centered Design & Engineering, and the inaugural holder of the Mitchell T. & Lella Blanche Bowie Endowed Chair at the University of Washington. Dr. Atman is co-director of the Consortium to Promote Reflection in Engineering Education (CPREE), funded by the Leona M. and Harry B. Helmsley Charitable Trust. She was director of the NSF-funded Center for the Advancement of Engineering Education (CAEE), a national research center that was funded from 2003-2010. Her research focuses on engineering design learning, considering context in engineering design, and the use of reflection to support learning. She is a fellow of the American Association for the Advancement of Science (AAAS) and the ASEE. Dr. Atman holds a Ph.D. in Engineering and Public Policy from Carnegie Mellon University. Invited Keynote Speaker. IEEE Professional Communication Conference, Madison, Wisconsin, July 25, 2017. “Concrete & Sticky: An Informal Theory of Change (With Three Worked Examples)”.